With the season of gluttony upon us, it will only be a matter of time before you may start thinking about getting a new pair of trainers and heading off to your local gym in a desperate attempt to look amazing for the Summer of 2017. Should you get a personal trainer or should you use a wearable tracker to monitor your progress? My trainers have been dusted off since September and in October I purchased the Xiaomi Mi Band 2 to monitor my progress, I was curious to see if a fitness tracker is a must have accessory or is it just a gadget that will be used and discarded within a few weeks of wear? May it be a gift to yourself for Christmas or a stocking filler for that person who has everything, the Xiaomi Mi Band 2 is available online from amazon from £33.00. 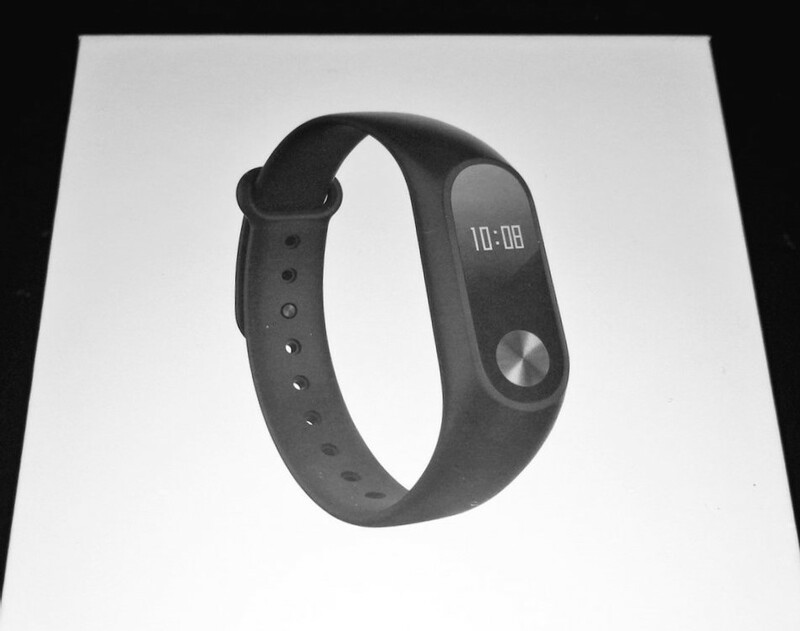 The unboxing of the Mi Band can be found below. Xiaomi is a multi-billion dollar company which was founded in 2010. The company are among the world’s largest mobile manufacturers competing with Apple, Samsung, Lenovo and LG. Their phones are beginning to make an appearance in the UK market with the Mi Mix, Mi Note2 recently being announced with specs to impress, Xiaomi will hopefully become a main contender in the UK market soon. The Xiaomi Mi Band 2 was released on the 2nd June 2016 and is an updated version of the popular Mi Band and Mi Band 1s. The Mi Band 2 differs from the previous models as it now features a 0.4inch OLED screen and a capacitive button. The display really helps make the device more appealing than a fitness tracker with no display. I have met people who have been using other fitness trackers and they are frustrated that they have to look elsewhere to get the time for example. Out of the box, you have the Mi band 2 capsule, the black wrist strap, and the charging dock. Growing up I have never been a fan of wearing a watch if it had a metal strap with links the hairs on my arm were plucked daily if the strap was leather I would eventually break out in a rash so up until now I have avoided any smart wearable device. I was worried that my skin would react to the silicone strap but surprisingly after extensive wear, I can say there have been no issues. The Mi Band 2 is lightweight and was almost unnoticeable when wearing. The mi band app is available on both the android play store and the apple store. It is easy to follow installation and the on-screen setup helps you link your band to your phone via Bluetooth. The Bluetooth connection does not have to be continually on as the mi band records the information gathered throughout the day then uploads it all when connected to the device. There are a number of customizable options with the Mi Band 2 via the app, these includes what is displayed when you push the capacitive button. You can simply have the time, or time and date – always handy when shopping and you can not remember the date. The pedometer counter that displays a number of steps walked that day. This sometimes is not 100% accurate as a waving hand motion can add a number of steps on to your daily total. Distance walked in meters, calories burned, heart Rate monitor – when pressed the Mi band will track your heart rate and display it with a vibration within 15 secs. Battery Display – The battery life is fantastic I have only needed to charge the device once every 29 days. There is also the sleep monitor which tracks your sleeping pattern breaking your nights dreaming into a light and deep sleep. With a baby in our household, this has been a great feature to prove to the other half what time I was up at during the night as it will also track periods awake. I found that having the mi band connected to your phone via Bluetooth you will receive notifications such as incoming calls and texts which over the past few weeks is a feature I do not think I could do without now. Via the app you can also set your pedometer goals. The NHS had introduced the 10,000 steps a day challenge stating the average person walks 3,000 to 4,000 steps a day. I set my goal at 10,000 which if reached you received a buzz notification on your mi band 2 display of a shield. I thought that I would have been able to achieve this goal daily, but I was only averaging about 7,500 steps daily. I activated the idle alert on the Mi Band2 that would notify me to get up and move about the office if i was sitting more than an hour at my desk. This notification really worked and now that I have added extra steps to my routine I now can reach my goal daily. The only workout the Mi Band 2 can monitor is walking and running. It cannot tell you a number of calories burned weightlifting or spinning. This can be disappointing but if you connect to google fit the mi band 2 can sync steps and sleep data and then you can input your workout on your timeline. The Mi band 2, is a fantastic value for money multi-function fitness tracker for anyone wanting to venture into the realm of wearable technology. This is my first time trying a smart wearable and I have to say I have been more than impressed with the Mi band 2 and what it has to offer. I have realised that I need to walk more and through tracking my sleep have made changes to my lifestyle resulting in a current weight loss of 24 lbs. I have managed to create substantial wear and tear on the strap and have ordered two replacements. For anyone wanting to achieve their fitness goals for 2017, I would thoroughly recommend starting your quest with the added help of this fitness tracker.